In a male dominated religion, women who were Hindu were created by the Brahman to give a man company, children to continue the family lineage and serve them. A woman’s primary duty is to help her husband and help him continue family traditions. She is to perform domestic rituals like puja or austerities. Puja is a prayer ritual that is performed to honor deities or to spiritually celebrate an event. Austerities are deep mediation. Being a mother has always had a high status in the Hinduism religion. A mother is respected because she is the first teacher of a child. The way they child grows out to be is on the mother. Mothers are to guide their children in the right direction in order to have their traditions continued. Although, women do not have a major role in the community, they are worshipped. 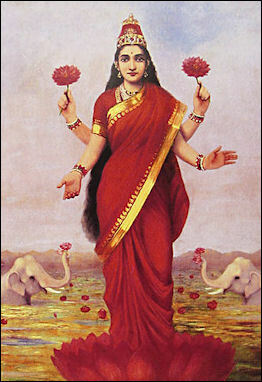 Hindus like to worship female deities. The Hinduism Law book states that men are prohibited from harassing or neglecting the women in their life. It is their job to protect them and not leave them. They are of course often left when they have a mental sickness and cannot take care of their children. Women are primarily dependent from a man since they are born until they are wedded. If a woman’s husband dies they would often perform sati, which was being cremated and put along with their husbands. If they did not perform that, they were often looked at as bad luck. Women face a lot of problems in the Hindu community. The Law Book states that they should be respected but often times they suffer domestic violence and abuse. Sometimes the violence can come from their dowry. Parents get involved with their marriage and career. Overall, women in the Hinduism community do play roles in the community, positive or negative.